Founded in February 2014, Primal Therapeutics LLC offers cannabis infused massage therapy to local residents of Denver and to visitors of the beautiful city. 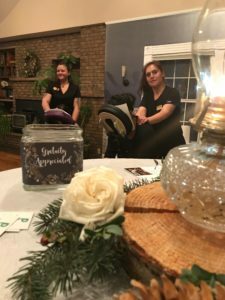 What we do for our patients is unique because we bring the spa experience directly to your home, hotel, or business. We use a custom blend of infused oils used for our cannabis infused massage treatments. The products used have the highest cannabinoid spectrum possible for maximum healing potential. 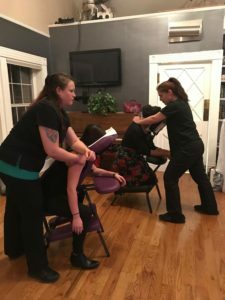 We bring chair massage directly to your event or workplace. See employee morale change in one afternoon! At Primal Therapeutics LLC we are dedicated to the education of cannabis plant medicine and holistic health. Our mission is to educate as many people as possible on the powers of living your life with alternative medicine. A life free of chemicals, dyes, and prescriptions and full of organic, healthy options. If you have questions and are wondering if cannabis massage is right for you or the condition you have please feel free to reach out to us anytime and we will do our best to advise you. *All treatments with the option of infused cannabis lotions and medicated balms, may be non-medicated as well.